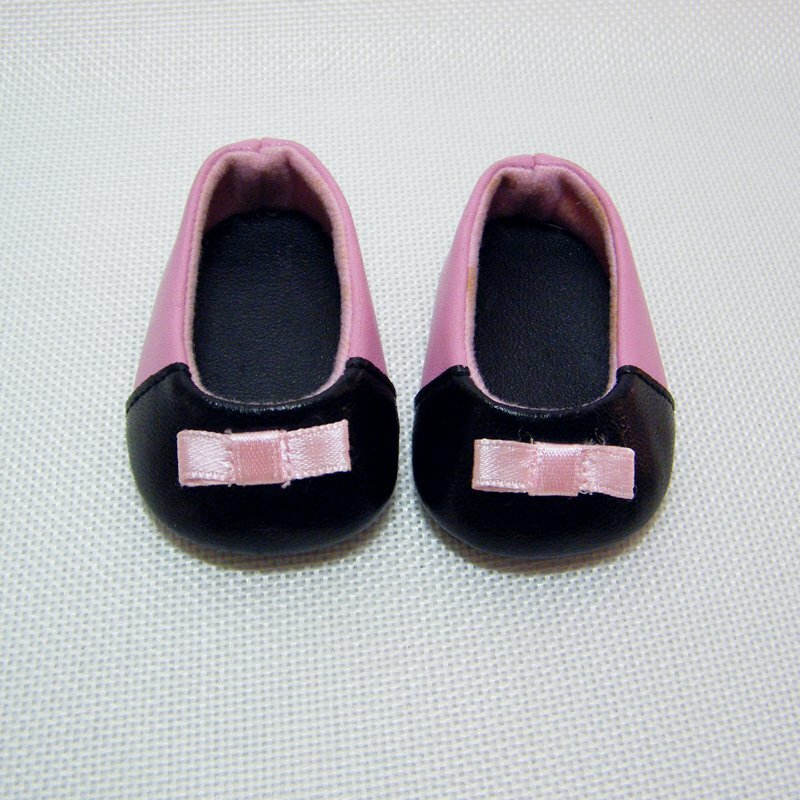 Nice pair of Pink slip on ballet shoes with black tops and a pink ribbon. Vinyl top with lined interior, flat soled made of thick vinyl. Look nice on front, slight wear at the back possible from rubbing up against the wall from being worn while on display. They are unmarked and have all the style of being American Girl. Please view pice for the visual description. From a smoke free home. Thanks for looking.